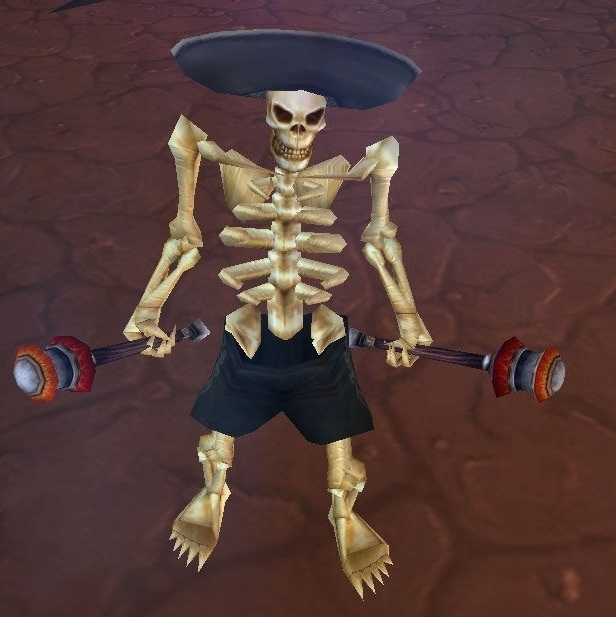 Why does this skeleton need pants? I’m cheating here, but I’m going to try out these simple instructions to receive one “Macabre Marionette” either today or tomorrow. Remember, Blizzard has made this pet permanent, so you only have two days to add it to your inventory of cute and fugly things. You can also view wowhead’s complete “Day of the Dead” guide here. 4) Go to the graveyard just north of the staircase where you’d exit the Violet Citadel in the grassy area, you’ll see some seasonal NPCs. 9) Accept quest: The Grateful Dead. Because you’ve already made the bread it will change directly to a completion. Like my boots? Oh right, I'm a tauren. So you’ve been stacking your valor points and you can’t quite decide on what item to buy next. Is it the tier gloves, oh but wait, you don’t yet want to break your Tier 11 4 piece bonus. Or how about that trinket? But, it’s only 13 item levels above your current one. If you’re having trouble prioritizing your loot, try and break it down into compartments and follow some general guidelines to make your purchases more efficient while having the best upgrade possible. An easy first cut is to look at which item gives the biggest boost to your most important stat (strength, intellect, agility). If it’s close, look at your secondary stat increase. You can also go with the gear with the largest item level increase. If you want a brainless approach, using a gear optimizer such as askmrrobot.com allows you to review how good each upgrade is in terms of a relative weighted point system. If the trinket boosts your points by 75, but the ring only by 30, well, go with the trinket. It also considers breaking and making tier set bonuses and procs. Finally, in most cases, I would recommend leaving the tier 12 hands and legs for your last valor purchases if you do baradin hold every week, as these items drop off Occu’thar. It’s happened to all of us, you have just purchased the tier gloves, and they drop 2 days later. And remember, it’s hard to balance the pew pew with the poo poo. I know work or school is draining, your kids and spouse are barking behind you every day, and you just dropped that delicious chocolate cake you were looking forward to munching, icing side down of course. So, after you put the kids to bed and turn on some horrible reality TV show for your wife, it’s time to…power UP that computer, plug IN that headset, and LOG ON for a little WoW time, one on one baby, oh yeah! …but wait, it’s not there for you, you don’t feel it, the chemistry is…is…dare I say it…gone? If you’re a little burned out, or just not feeling it when you log on, maybe you’re in a rut and need a change of scenery in Azeroth. Change it up, stop doing those mind-numbing dailies and try some random PVP, perhaps experiment tanking with that alt that’s been collecting dust. Roll an alt with the other faction, dual box, tinker with addons, try to make some money in the auction house, work on a pet or mount collection, role play, anything that you don’t normally do in game brings about a fresh perspective and new challenges in this virtual world, which will just keep you coming back for more. But, if none of this does it for you…well my friend, it’s time to take a break and find another hobby, because if you don’t enjoy your hobby, it’s work. copyright Blizzard Entertainment...I don't want to be sued. You can listen to Segment 4 of “Epic Diapers” at the end of episode 232 of “The Instance” at www.theinstance.net. If you’re like me, you like alts…a lot. But, I don’t have the time to level them one by one. Heirlooms are nice, but dual boxing with recruit a friend is about 5 times as fast. What you get with this program is 300% experience gain from all sources. 10% bonus reputation gain, each toon can summon each other once an hour, and the recruit can donate up to 30 levels to the veteran account….plus, you get a swanky rocket mount. So, how does it work exactly? Well, without going into the fine details of the process, you basically send yourself an email through the recruit-a-friend option on your battle.net account management page. Once your new trial account is established, your two WoW accounts are now “linked.” You will need to purchase a full copy of WoW, about $20, or you can wait for Christmas like I did and pick up a copy for $5. These accounts are linked for 90 days, and in that time, each account gets a free month. So, in all, you’re only shelling out $35 for everything…it’s the same cost for a winged eagle lion and cenarion hatchling, and quite honestly, I think it’s way more worth it to get lots of level 60s for this price…and you still get a mount on top of it, which is a $25 value anyway! To play, just launch two sessions of WoW on your computer and create two toons that will be grouped together for the next 60 levels. As far as class selection goes, it’s generally easier to level two of the same class, say two mages, double pyroblasts anyone? It’s really up to you and your end goals. Either way, it will take some time to set up your follow and assist macros. I generally get a pair of 60s up in 24 hours or less of played time. I then start another pair of toons, level them up to 30 in about 8 hours, and with the original recruit level 60, I can now grant 30 levels to my level 30 veteran toon, making him a level 60 instantly….man, you should see the language in chat when you gift these levels in the middle of Orgrimmar! Anyway, that’s 3 level 60s in about 32 hours played total! You can do this as many times as you can within 90 days. If you have additional cash lying around, you can even transfer your level 60 toons from your recruit account to your veteran account. And if you wondered, yes, this is completely legal, does not violate the terms of service; Blizzard has absolutely no problem with multi-boxers…I mean, it’s more money for them in the long run! And personally, I feel it’s a new, different, and challenging way to play the game. Very detailed guides are available at dual-boxing.com. Follow me on twitter @epicdiapers and shoot me an email at epicdiapers at gmail.com.